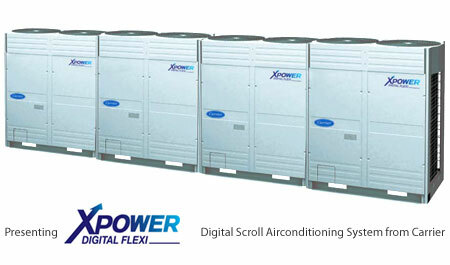 Carrier's all new XPOWER Digital Flexi - Digital Scroll. Airconditioning System , gives you the power to use it the way you want it . Thereby , giving you the advantage of Flexible Applications , Installation , Line-Up , Selection and Control.